This post is not fashion related but I feel like I have to talk about the new craze among teens, the game Flappy Bird. It seems like every time I would raise my head in every one of my classes, I would see a majority of the kids on their phones. I decided to do some further investigation as I was very curious about what everyone was doing. I started glancing over at the screens of my neighbors’ phones and I saw them playing a game which had a bird and pipes. I though it looked stupid so I just looked away and minded my business. A few days later, everyone was talking about the game and their scores. Some of my friends are even telling me how Flappy Bird is their new addiction and how they can’t put their phone down for a second. I asked some of my friends why they were so hooked on the game because I didn’t understand the big craze. They told me that they liked the game because of how much of a challenge it is. They have told me that the drive to beat their personal scores pushes them to play the game all the time. They like to be able to show off their scores because this game is pretty hard. I heard about how the game was getting people to play all the time so I took action and downloaded the app myself. I started playing and have to admit that it is truly a challenging game. I don’t like the game as much as some other people like it because I can always find something better to do with my time but it is good to kill some time. The game gives you medals according to how many tubes you are able to pass through, so far I have gotten a bronze medal and my high score is 16 which is not so great. Check 11 Hilarious Negative 5 Star Reviews of the Flappy Birds iPhone Game, it pretty much describes the frustration of the players with this game. 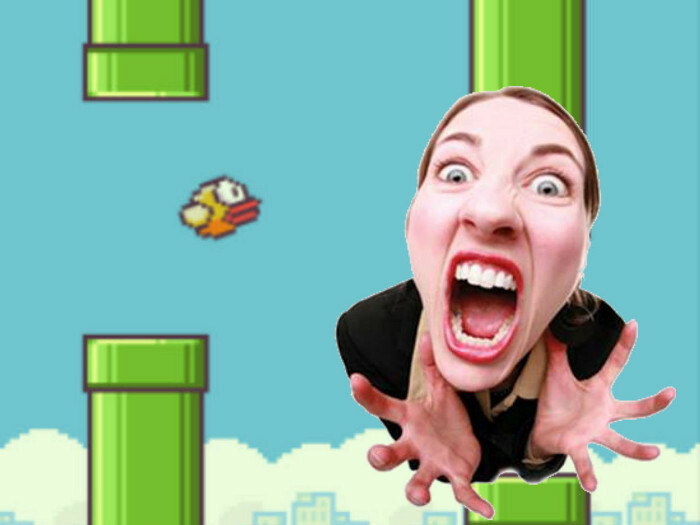 Have you played Flappy Bird? What do you think about it? Thanks, I will make sure to take a look at your blog.